The world of animation characters is rapidly expanding because people of every age group have started taking interest in them. There are some cartoons that have made a specific place in the hearts of viewers since childhood. 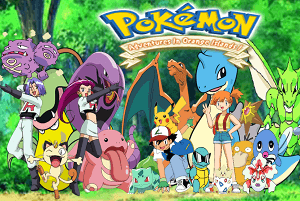 The Japanese series of Pokémon is one of those animation series that were popular among all over the world among 90s kids. Till now, it has a huge fan base that is why you can see the Pokémon breaking all records on internet. Here you will be able to explore 8 places where you can watch Pokémon episodes in Hindi. This YouTube channel is fully dedicated towards cartoons of early stage including Pokémon, Dragon Ball Z and Flash. From the history of Pokémon to its most recent videos, you will be able to access all multimedia content here. There is an option of playlists where all series of cartoons are classified in different categories for easy access. This is another place on YouTube to find your favourite cartoon characters in good resolution of graphics. At Indian Cartoon channel, you can find some very famous videos of this cartoon character including Branched evolution, evolutionary stone and full seasons in Hindi language. Currently, this channel has more than 7.2 K followers who regularly visit here to refresh their memories. The broadcasters of this channel provide new episode of Pokémon in Hindi on the demand of viewers. This is a YouTube channel of Pokémon fan where you can find the videos of rare series in Hindi language. Along with full episodes, they also offer reviews on special series. This is helpful for new viewers to understand the complete story of this animation character. This is not a popular spot but contain enough content to recreate your old memories again. On Pokémon Royal Hindi channel of YouTube, you can find a huge fan base of this famous cartoon character. They offer numerous old and new series that will definitely give you goose bump. Not just full series, but small animation clippings are also available here in Hindi language. While exploring deeply, you will also find some funny dubbing clips featuring Pokémon cartoon characters in Hindi. For the true fans of Pokémon cartoon character, this channel is really a bonus. Here you will be able to access all battles of Pokémon with its opponents. It is also possible that you will find some rare series that were unseen till now. in to playlists, they are offering more than 200 episodes in HD resolution. This is really a huge number that is why currently 39K subscribers are watching this channel regularly. If you are looking for a dedicated website containing only Pokémon videos in Hindi language then this can be the best destination to visit. They offer every kind of video that is related to this cartoon character. The website has a very simple user interface where all episodes are present in list. In the top of home page, a search bar is available for quick accessibility to every video. For the diehard fans of Japanese cartoons in India, this is one of the best sites to visit. At amino, you will be able to access Pokémon all new episodes in Hindi along with manga and all other famous characters. Also they provide lyrics of some videos so that one can easily understand the story. Currently, more than 12K people are following this site for latest updates. You can also be a part of this community after registering on website. This is one of the complete sites to watch Pokémon in Hindi full episodes. At dead Toons, you will find out some of the best series that are currently discontinued. They have a huge fan base that grew up while watching all the episodes on television. Not just Pokémon, but this website is a goldmine of all cartoons classified by their broadcasters like pogo, cartoon network, nick and Disney. Only the kids of 90s know the value of Pokémon in their life. That was the time when the series of this cartoon character was only available on television. If you have missed any of the episodes, Snaptube is here to help you. This app has an amazing feature to save the video in phone memory to watch again in offline mode. No matter your favourite show is available at which website, you can access all of them without switching between multiple apps. 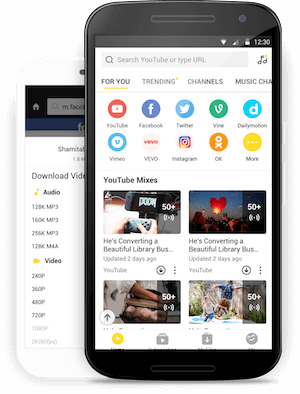 Snaptube is a powerful portal for accessing all trending videos from its homepage. It is a fully dedicated app for Indian entertainment so you will feel like a personalised environment.